We all have them & we all hate them. I’ve had them as long as I can remember, mainly on my big toes and heels. Mine aren’t even that bad (i’ve seen way worse), but they still bother me. They’re like the guy at the bar that won’t stop hitting on you- just. go. away! What is a callus? It’s a toughened area of skin that became thicker and harder over time from friction or pressure. They are usually found on your feet, but you can also have them on your hands. Dry Foot moisturizer- it’s much thicker than body moisturizer and when you’re putting it on you’re thinking there is NO way this paste won’t work. But, nope, I’ve tried so many different brands and my calluses were still there. Pumice stones- I had one in my shower that I used to use daily for a month. The calluses were less rough but still hard and visible. Metal grater- gives me chills just thinking about it. It surprisingly doesn’t hurt, but it also doesn’t work. 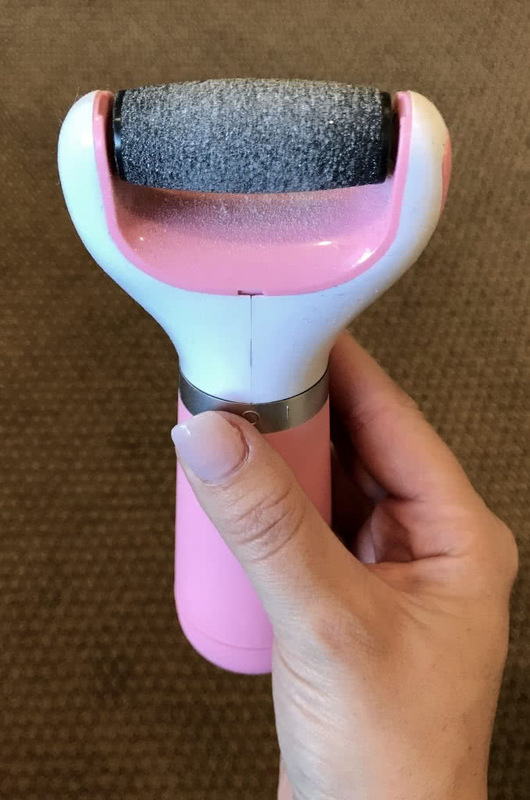 The callus treatment at the nail salon- They usually charge an extra $5 for this and I never notice any difference- I’m also really ticklish and can’t sit still when they do it- so I stopped trying. 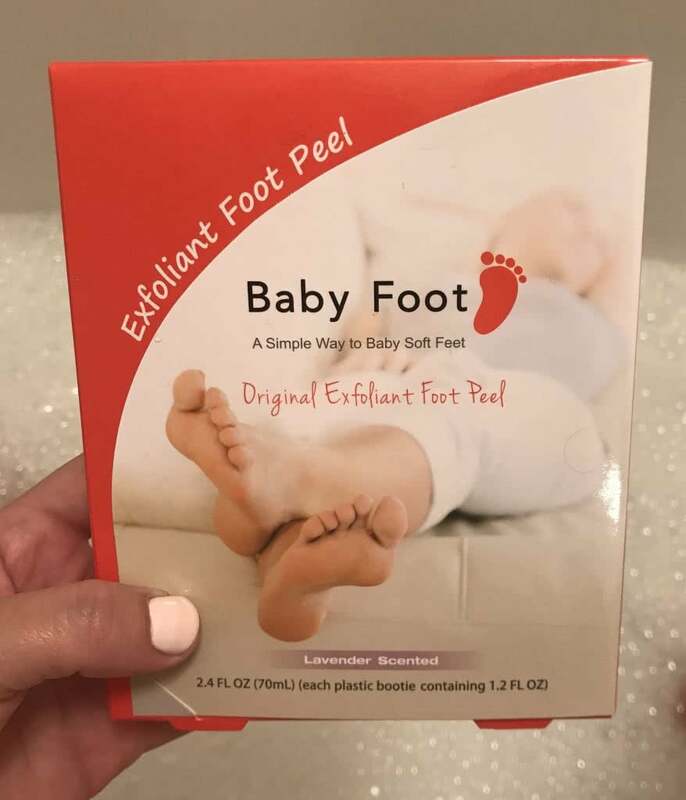 I even tried the Baby Foot exfoliant peel! I was so excited because I’ve read amazing reviews about this (OMG the pictures). Baby Foot claims that when you file your feet, you generate more friction which in turn creates more dead skin… hmm… I don’t see the logic there but, whatever, I still tried it. I will say, your feet definitely peel with this mask. It’s fun and creepy at the same time. I will also say it’s really hard to get a good picture of your feet. So this is what I got. This was the 5th day of the peel… It was much worse day 3-4! Yes, I peeled. No, I didn’t notice any difference afterword. How can that work? I peeled SOOO much yet still had the same amount of callus? I was pretty disappointed being that it’s a 1-time use, $25 experiment (!!). I would not recommend this! 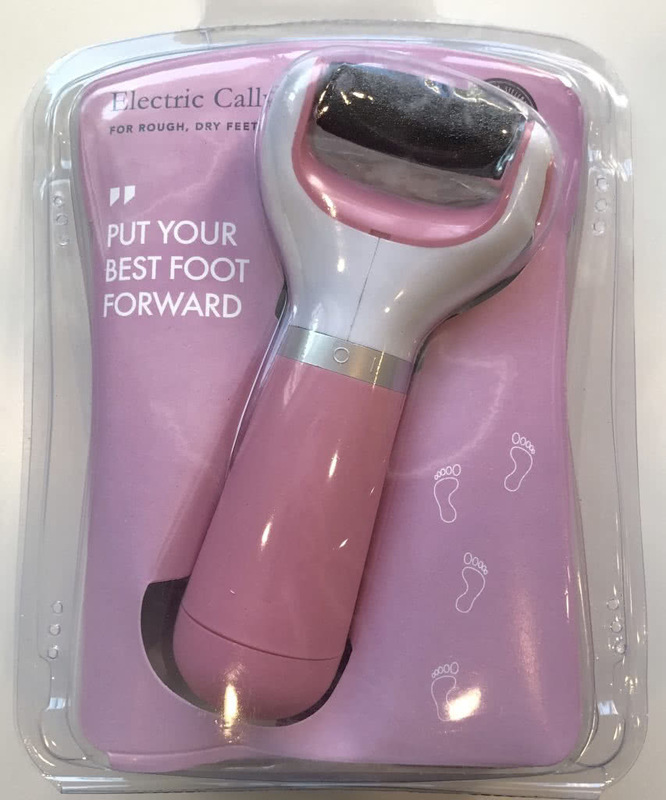 After the Baby Foot bust, I broke down and bought an electronic callus remover. I’ve been wanting to try to the Amope since it came out but it used to be like $50! Which, let’s be honest- I could have bought that a while ago for less than what I’ve spent on all the other things. LOL… the way we justify things to ourselves. It looks like the prices have gone down over the years and you can now purchase an Amope for under $20. I bought a different brand that I can’t find online anymore. It needed 4 AA batteries (yes 4!) and it was super scary the first time I turned it on. It makes a grinding noise and moves FAST. If the metal grater scared me this was on a whole other level. I put it up to my foot and it didn’t hurt or feel nearly as bad as it sounded. BTW, I used it on dry skin. Andddd it worked! Holy moly did it work. I used it 2 weeks ago and my feet are still the softest they have ever been! My calluses are gone, my feet don’t look dry and ashy. After my first use- Look at all that dead skin! I even got a pedicure and they complimented me on my soft feet. When does that happen?! You can wash your feet beforehand, but it’s not necessary. 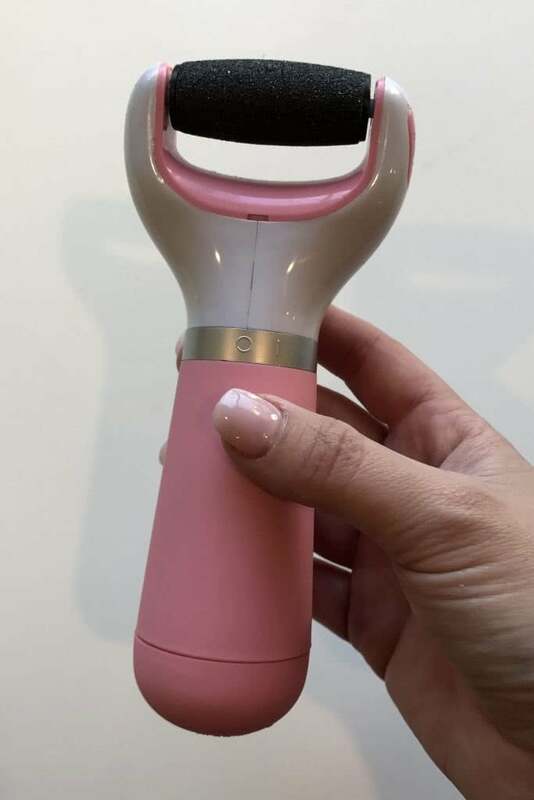 Simply turn it on and rotate it all over your calluses. You’ll see the dead skin flake off (so gratifying). When you’re done, rinse the file and your feet and moisturize. Same as normal! I don’t moisturize my feet daily and haven’t since I’ve done this yet they are still super soft! I 100% recommend that you try this product! 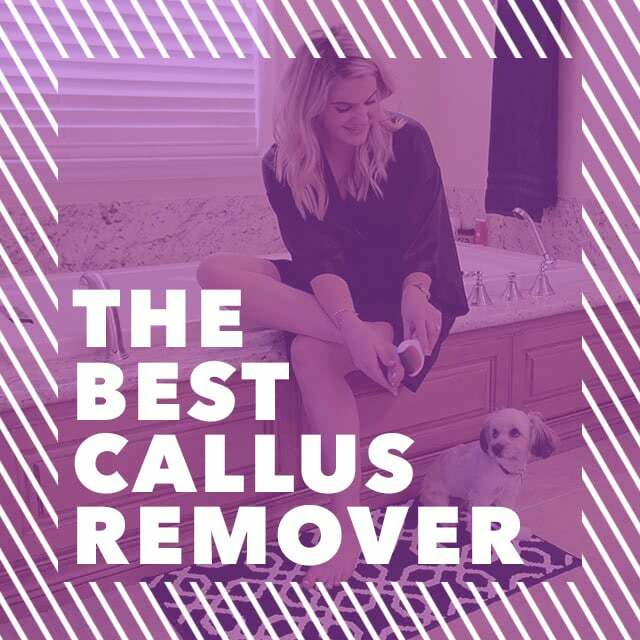 Have you ever tried a callus removing treatment? How’d it go? My feet get so dry in the summer time so I will give this a try! Thanks! !